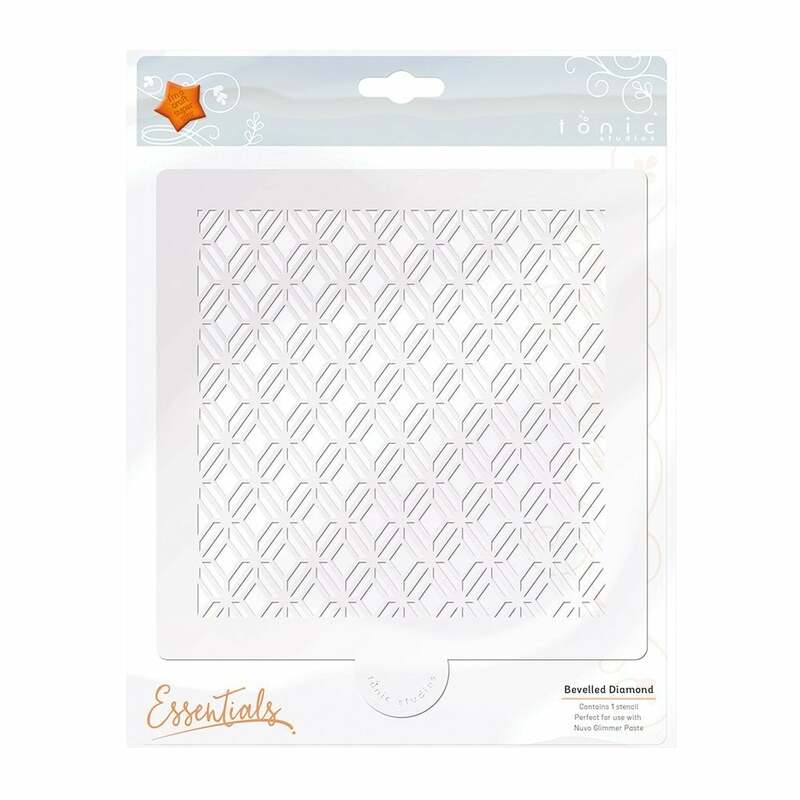 You can use these stencils in many different ways, you can extend the pattern by lining up the stencils to cover large areas or you can use only part of a stencil to add it to corners of projects. It's as easy as fixing the stencil down with some low tack tape and apply the Nuvo product across the stencil to get the best result every time. You won't be short of border or background ideas ever again with such versatile choice of products in this range you can find something for every occasion.